When Sweet Baby Ray’s asks if you could create a game day recipe using their sauce you say HECK YES! 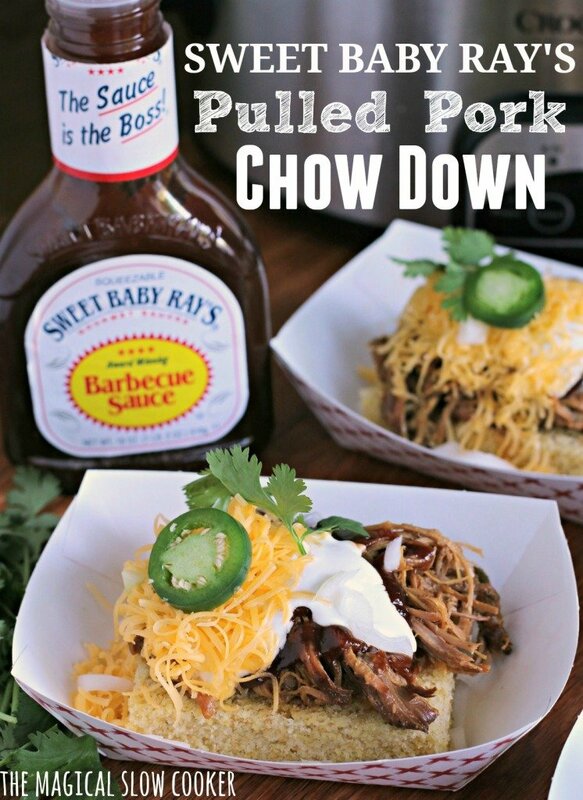 My recipe I created is Sweet Baby Ray’s Pulled Pork Chow Down. I am a huge Sweet Baby Ray’s Fan, but most people know this already. The crock pot and Sweet Baby’s Rays are best friends. You can put this sauce on just about any meat in your crock pot and it turns out incredible. Are you ready for this recipe? This isn’t your typical game day recipe, this is like the mother of all game day recipes. I seasoned a pork shoulder, seared it, and placed it in my slow cooker. I added Sweet Baby Ray’s Barbecue Sauce, apple cider, onion, cilantro and jalapeño (exact recipe below under the photos). I cooked this pork for 8 hours on LOW. I then shredded it up with two forks, right in the sauce. I cooked up a double batch of cornbread in the oven in a 9×13 pan. I served the Sweet Baby Ray’s Pulled Pork over the cut pieces of cornbread, topped with more sauce, sour cream, cheese, onion, jalapeño, and some cilantro for garnish. Your guests won’t be expecting such an awesome game day meal. This meal reminds me of grub you would get off of a food truck! In a small bowl combine the pepper, salt, onion powder, garlic powder and paprika. Remove the pork from its packaging and pat dry with a paper towel. Sprinkle the seasoning mix you just made onto the pork roast. Set a large skillet to medium-high heat. Add enough oil to coat the bottom of the pan. Sear the roast on all sides. 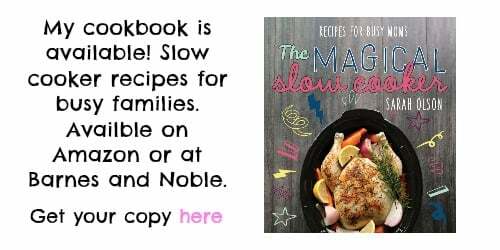 Place the seasoned pork roast into a 6-quart slow cooker. 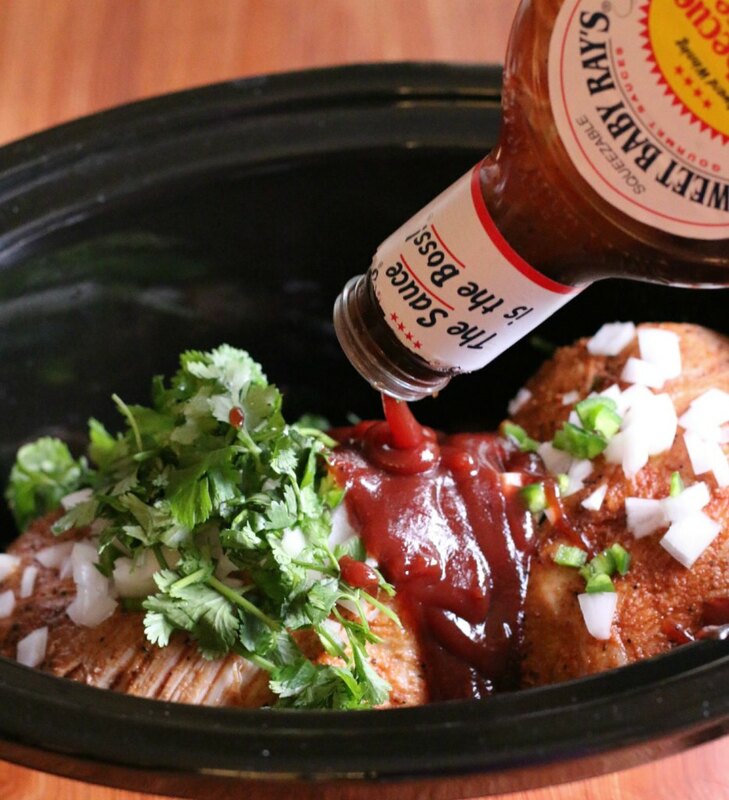 Add the onion, cilantro, jalapeno Sweet Baby Ray's Barbecue Sauce to the top of the roast. Add the apple cider around the roast. 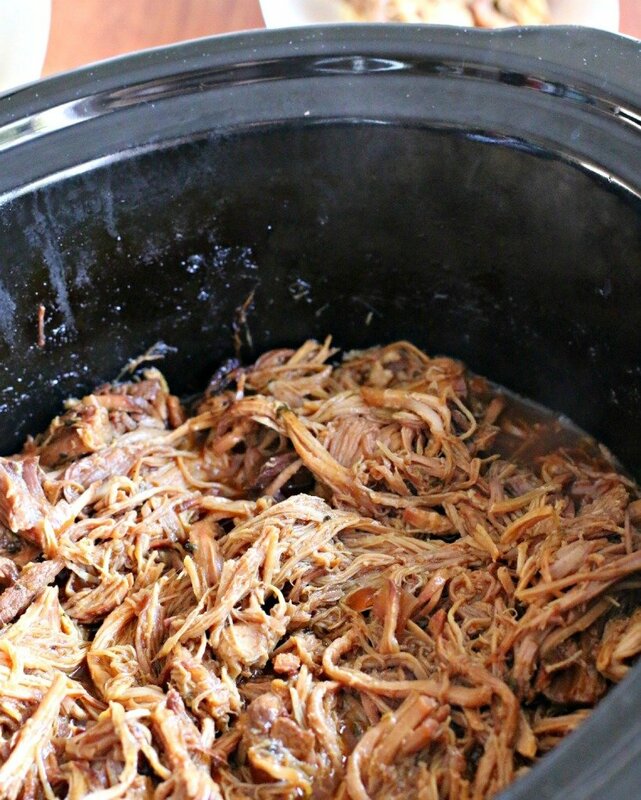 Shred the meat with 2 fork right in the slow cooker, discarding any fat. 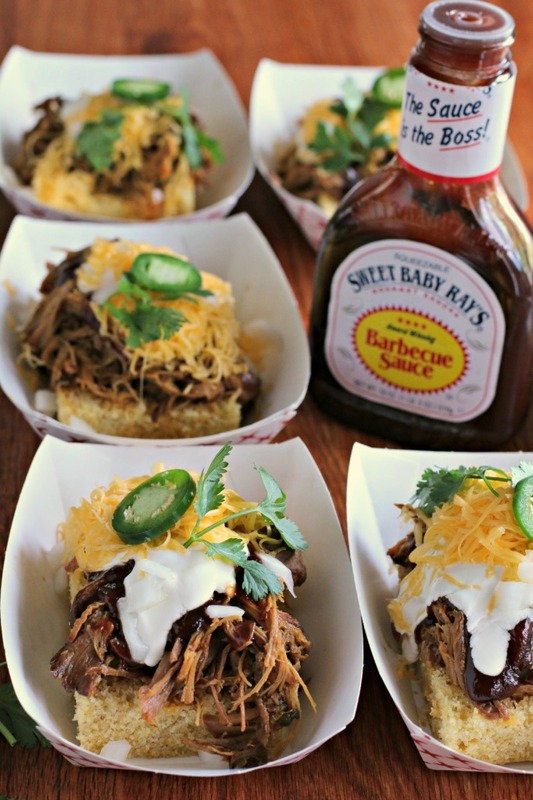 Serve the shredded pork over cornbread topped with Sweet Baby Ray's Barbecue Sauce, sour cream, cheese, sweet onion, cilantro and jalapenos. Disclosure: Though I received product and/or compensation for this post, all opinions are my own. 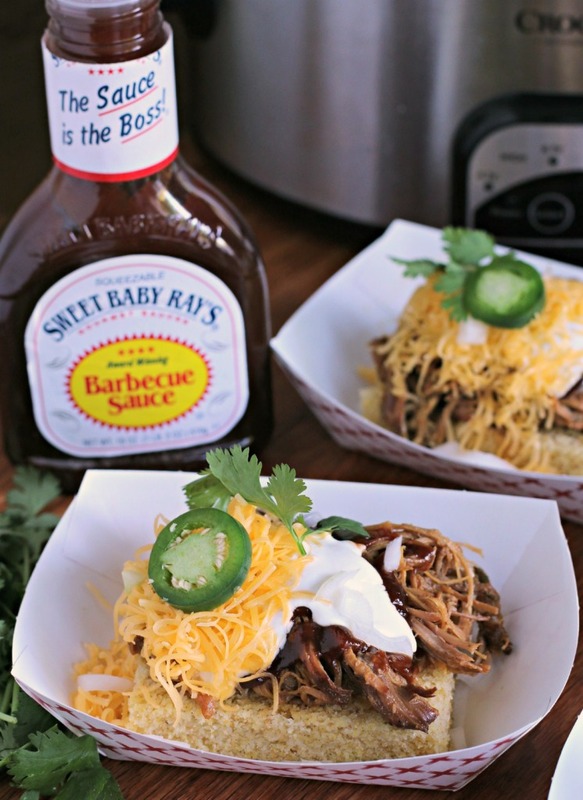 I love pulled pork and adding Sweet Baby Rays….even better!! Pinning this recipe for sure! The instructions mention apple cider. Don’t see it on the ingredient listing. What sort of apple cider do you suggest? Sweet Baby Rays is my very favorite bbq sauce. 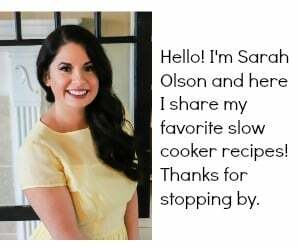 Your recipe looks amazing Sarah! 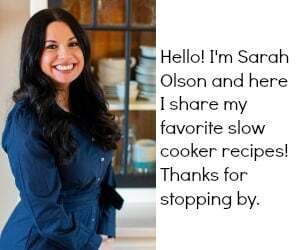 Your recipes look great. Now, I am thinking of ways to use the Sweet Baby Rays for Vegetarian Recipes. 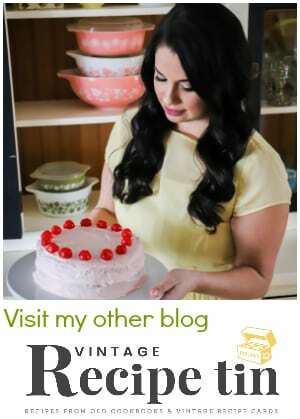 Great post and your excitement over the product and recipes oozes! Looks fabulous. That looks fantastic. A good BBQ sauce is always a must in our pantry! This looks really good, I love Sweet Baby Ray’s BBQ sauce if I am buying it. It has a great combination of flavors. I absolutely believe you! Sweet Baby Ray’s is the only BBQ Sauce (other than a homemade one) that you will find in my fridge. I am picky about certain things and my BBQ is one of them. Your pulled pork looks amazing! Just wish I could buy Sweet baby Rays here but I will have to find a local subsitute.